I love to perform for elementary schools! It is so fun to get all those children laughing so hard they can hardly sit up. I have also seen many teachers fighting back tears of laughter. Please, if you have any question about how I can make your next assemble a really fun event, don't hesitate to contact me for more information. 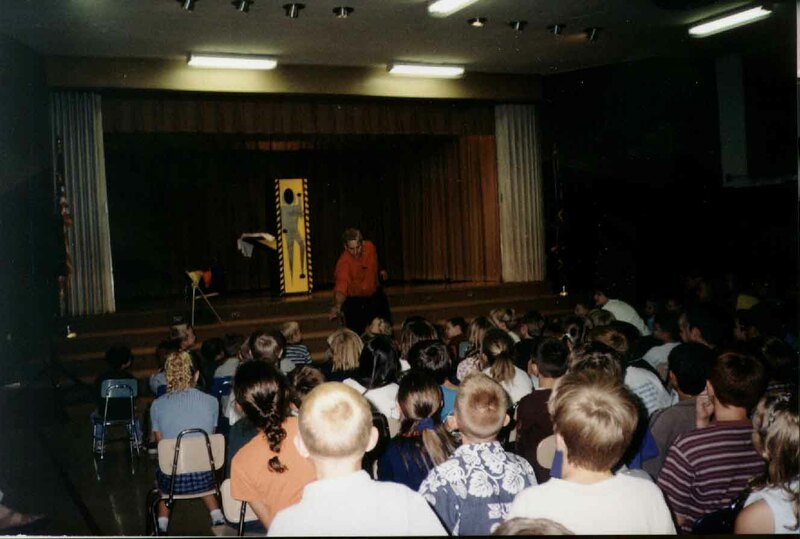 Over the many years that I have been performing for elementary schools, I have had many great comments from teachers and principals, I just wish I had written them all down! This is one of the more recent comments and I think it does a good job of generalizing the typical response. Here's what principle Sandra Jarvis of Brookside Elementary in Springville Utah, had to say about my show. "The kids really loved your show, I loved your show! 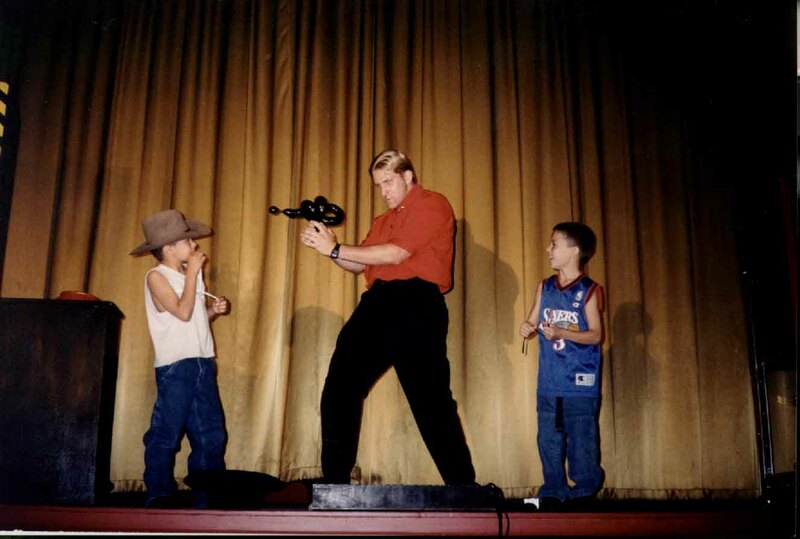 We had a magician come to our school about five years ago and he had good tricks, he just didn't really relate well to the kids. This show was wonderful, you just did such a good job!" 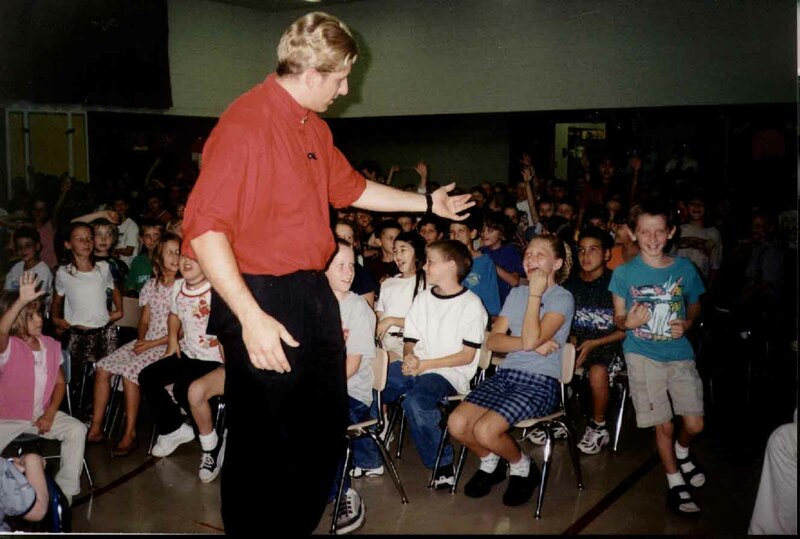 I performed my smaller comedy magic show for her student body of about 400 children and we are scheduled to come back and perform our large illusion show in March of 2000. Here are a few more recent comments from two elementary schools in Centerville. 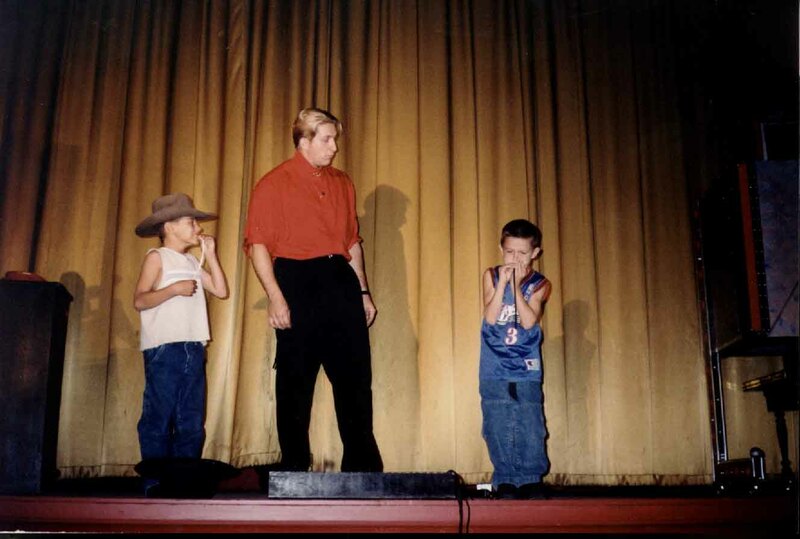 The photos below were taken at an elementary show in beaver Utah.